With over 30 books in print, Gary is an established author with notable contributions in the areas of the paranormal, metaphysics, poetry, and business. He is also a collector of strange stories at My Haunted Life Too. He recently released an album of self-penned and self-performed songs called The Early Years that is available at all digital music stores. He was born in the city of Hull in England, and grew up in East Yorkshire, the eldest of three boys. He survived! but growing up can be extremely tough for any kid, but imagine growing up around poltergeist activity and ghosts? G. Michael Vasey had exactly that kind of childhood, experiencing ghosts, poltergeists, and other strange and scary, supernatural phenomena. In fact, he seemed to attract it, developing an interest in the occult and supernatural at an early age and he has been fascinated ever since. His “My Haunted Life” trilogy has been highly successful–reaching number one on bestseller lists on both sides of the Atlantic. Now he is presenting the stories of others. 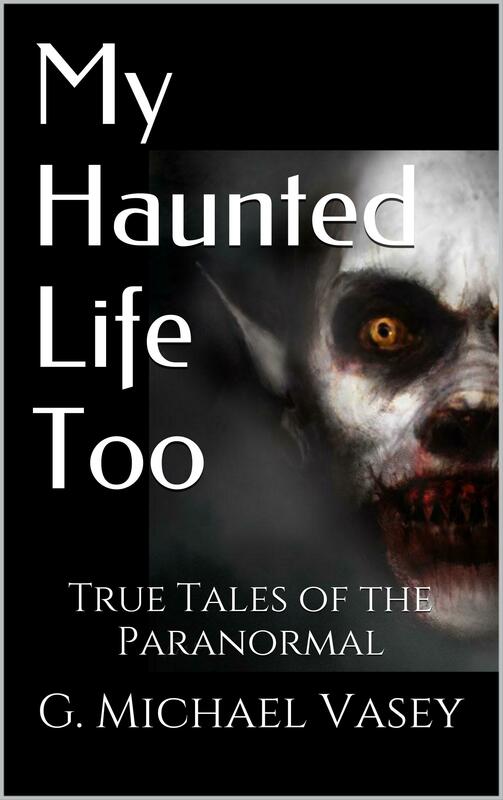 The third book in the “Your Haunted Life” series about the Black Eyed Kids is currently available on Amazon. It’s a must-read for anyone with an interest in the strange happenings of the paranormal world. Then there’s “The Pink Bus And Other Strange Stories From LaLa Land,” a book that lifts the veil on one of the biggest mysteries in human history–the process of death, and what happens to our souls when we die. His recent books have included a tour of the supernatural side of the Czech Republic and True Tales of Haunted Places. Sharing strange and scary stories and his expertise in all matters supernatural. He has also been featured in Chat – Its Fate magazine and been interviewed by Ghost Village and Novel Ideas, amongst others. In many ways, I have been very fortunate meeting many wonderful people and visiting a great many beautiful and interesting places in my life to date. Some of my blog articles highlight these wonderful experiences….. In the end, I am fascinated by what we are and why we are here. I am captivated by reality and what it might be. I am a firm believer in magic and the power of the mind to shape reality. That’s what I write about, think about, and obsess about…..